Friday Find ~ Sharpies for Manis! Nail art is big right now and I found this idea on Pinterest and researched it further on The Beauty Department . You can use Sharpies to create nail art! And it’s SO much easier than using polish or nail pens. 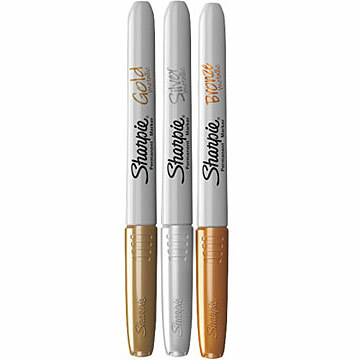 I particularly love that Sharpies now come in gold and silver…perfect for adding metallic touches to your nails. Here are a few ideas from The Beauty Department…. Love, love, love the polka dots!!! Who knew you could get your mani supplies at your local stationary store…in fact Staples carries a metallic three pack for $6.39 both online and in stores…less than a bottle of nail polish! You can use it over your top coat. 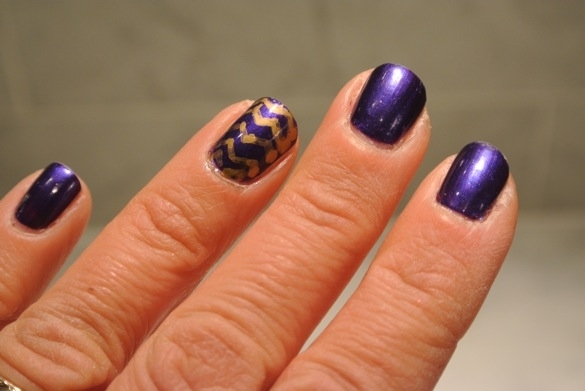 Make sure it’s completely dry (it takes a while) before you put another coat of top coat over the Sharpie design. Berkeley created this chevron look for me..